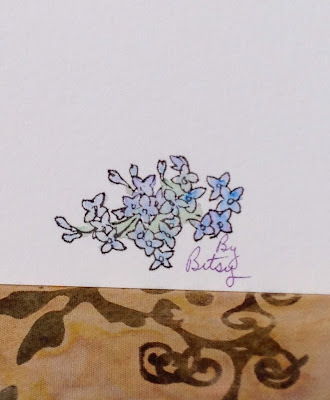 While looking online, I ran across Heather Telford's "Just add water" card for the One Layer Simplicity Challenge. Heather's work usually catches my eye as it's amazing! 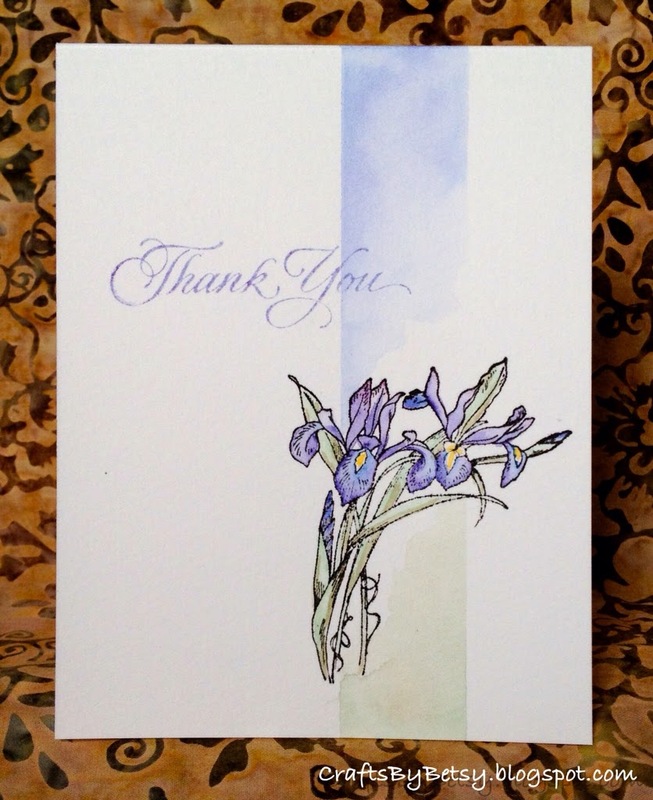 One layer simplicity rules include making a card with only one layer. Period. 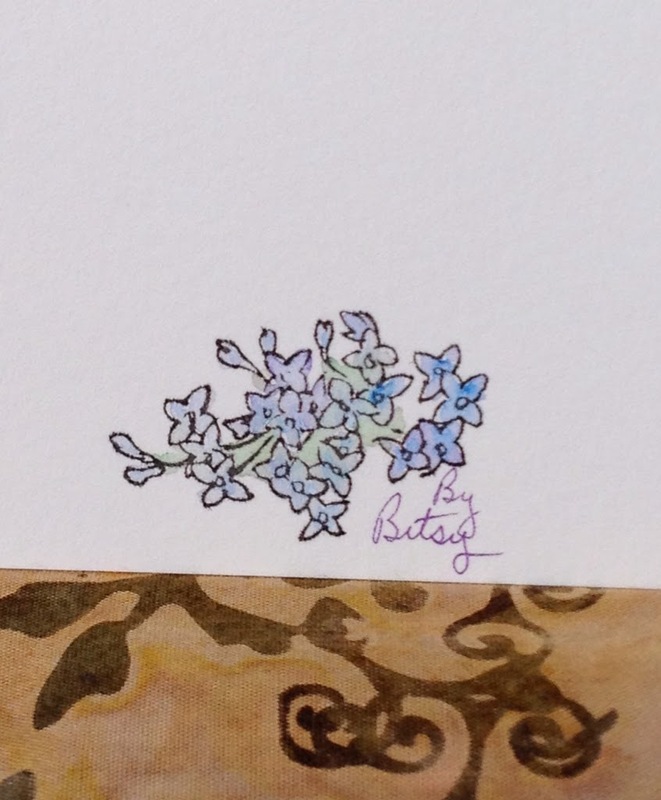 This challenge was to do so incorporating the use of water in creating the card. I really had to think through placement of the stamps before beginning this card. I used Strathmore 140 lb hot press watercolor paper. 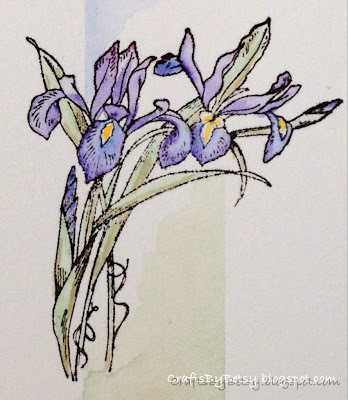 Images are from the Penny Black flower gallery stamp set. I used Versa-fine instant dry permanent ink, onyx black for the flower image and stamped "thank you" with a combination of Momento summer sky and grape jelly. Background and flowers were colored with Derwent Inktense watercolors. I used a similar technique for the background as Heather's sponging tutorial, but substituted water, watercolors and a brush for ink and sponging. It's lovely Betsy. I especially like the subtle panel behind the flowers; it is done so delicately.